The upside down way of bat life helps the creature in several ways. It enables them take to the wing easily and immediately in case a predator gets too close. Moreover, the hind limbs of bats are not very well-developed for flight, and they are unable to generate lift for taking off in an upright position. Upside down, they simply have to 'fall into flight'. 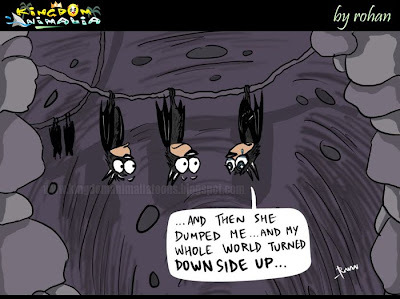 Bats are the only true mammals that are capable of true and sustained flight. Others like the flying squirrels are only able to glide for short distances.